This Wonderfully Remodeled Country Garden Home in the Heart of Carmichael Offers: THE GOURMET KITCHEN FEATURES: Custom hand-made Alder wood cabinets, granite counter tops with full tiled back splash, stainless steel appliances, double oven, 36' 5 burner gas stove-top, glass-covered fan, built in microwave, dishwasher, wine fridge in sit down island sits on a huge lot with plenty of room for a pool, play structure for the kids, plenty of room for garden area, Big outbuilding with electricity and a gas line ran to it great for an in law quarter or art studio, work out room. Tile flooring through out main living. 2 COMPLETELY REMODLED BATHROOMS: Beautiful custom tile Master has a Walk-in round-stone shower, Newer vanities, lighting & water saving features. SPACIOUS OPEN GREAT-ROOM: With dual pane windows LED recessed lighting ceiling fans throughout, european, imperfect smooth finish throughout. 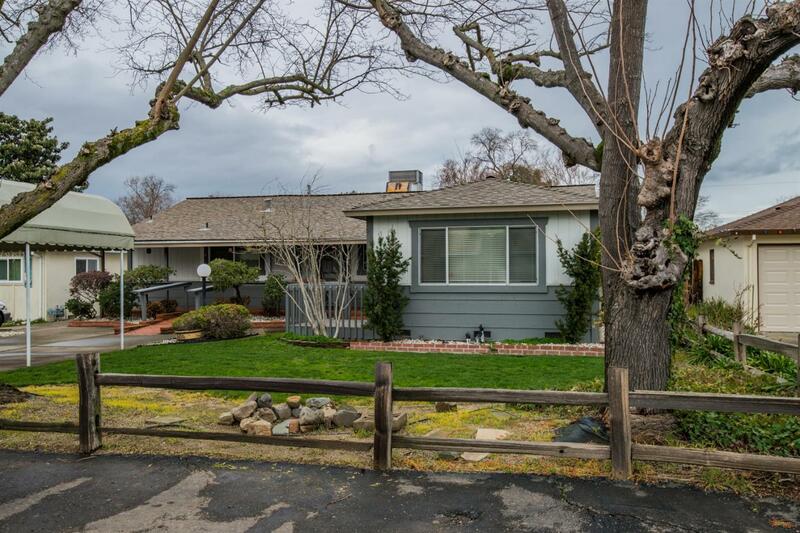 Sits on a quit Cul De Sac street Minutes from Ancil Hoffman Park, golf & American River.